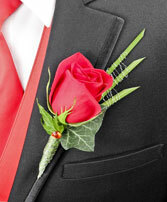 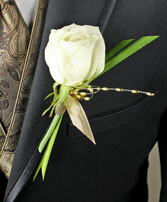 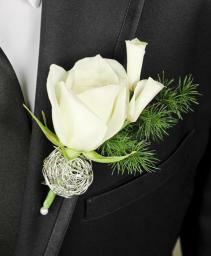 Simple rose Boutonniere with touch of bling. 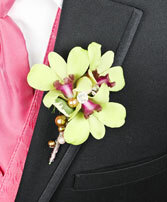 Green orchids with beads and silver ribbon finished stem. White rose with silver accent. Red carnations with spray gems, wax flower and ribbon finished stem. Yellow alstromeria to match her dress. Your prom date will be impressed. Fun flowers with a soft feel. 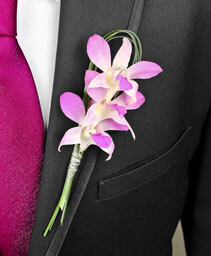 Orchids for a tropical feel. Gems to bring out the bling in prom. 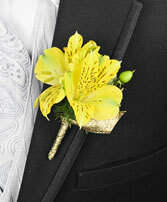 Add silver or gold glitter. Add gems to make even more exciting. 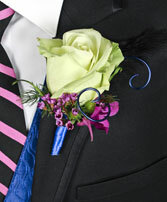 Ribbon and gems can be added to match any dress color. 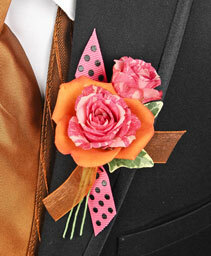 Add gems and ribbon to accent any dress. Add some spray roses and gems to make stunning. 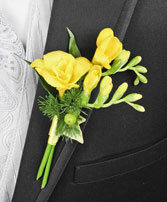 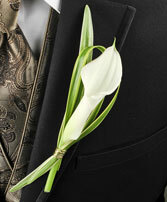 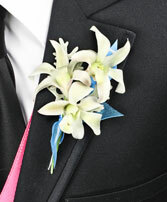 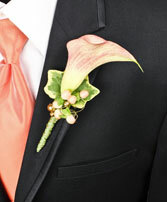 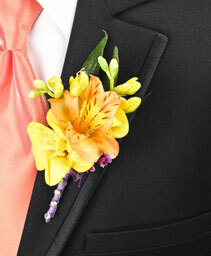 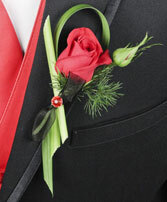 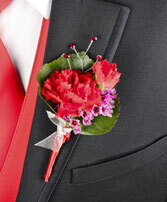 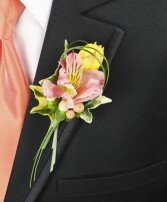 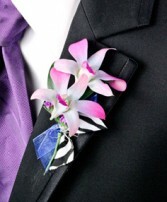 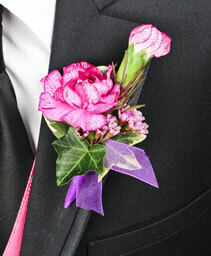 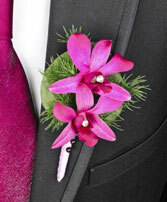 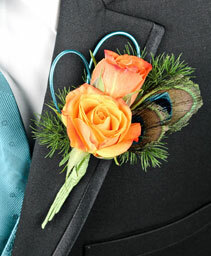 Add sparkle leaves to make this Boutonniere pop. 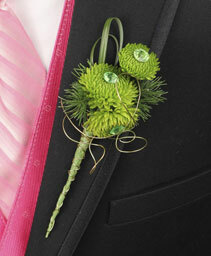 Green kermits with sliver wire.